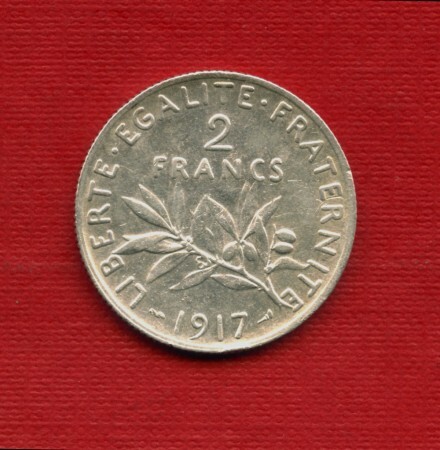 1917 FRANCIA - 1 Franco argento 835/°°° Seminatrice (Cat. 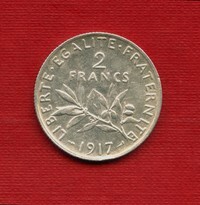 World Coins KM#844.1) bella conservazione BB/Spl. 1917 France - 1 Franc Silver 835 / °°° seeders (Cat. World Coins KM # 844.1) BB /Spl wonderful preservation.